Squid Jigs - Sidewinder Squidder & Jarvis Walker Razorback Squid Jigs. 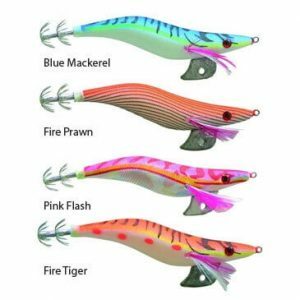 Squid Jigs are intended to create a jerky vertical motion, they usually consist of a lead sinker and hook covered with a soft body. These are often made to look like small fish or prawns.